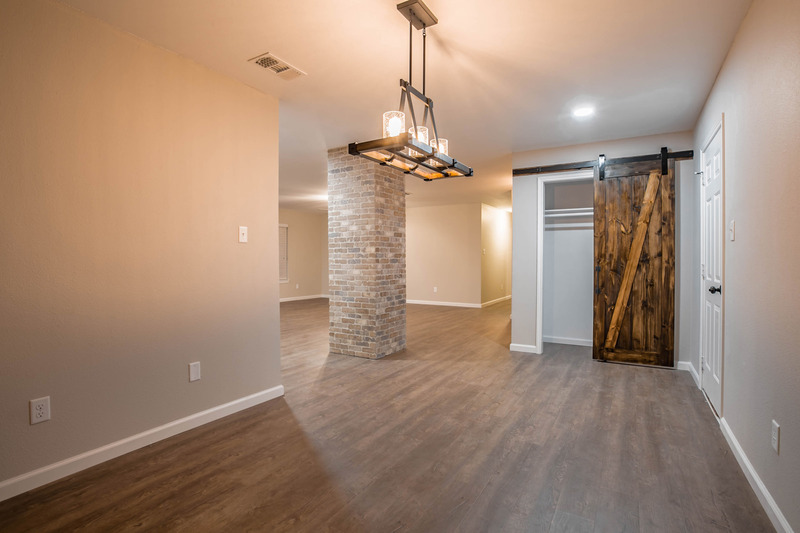 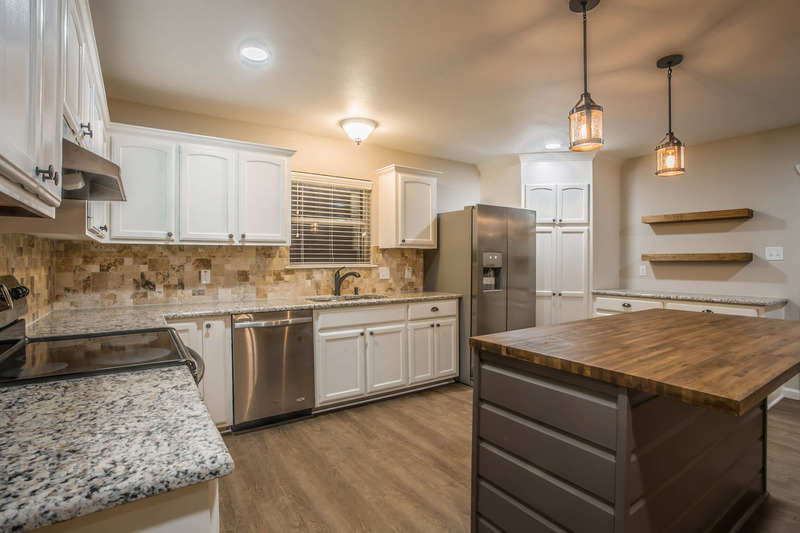 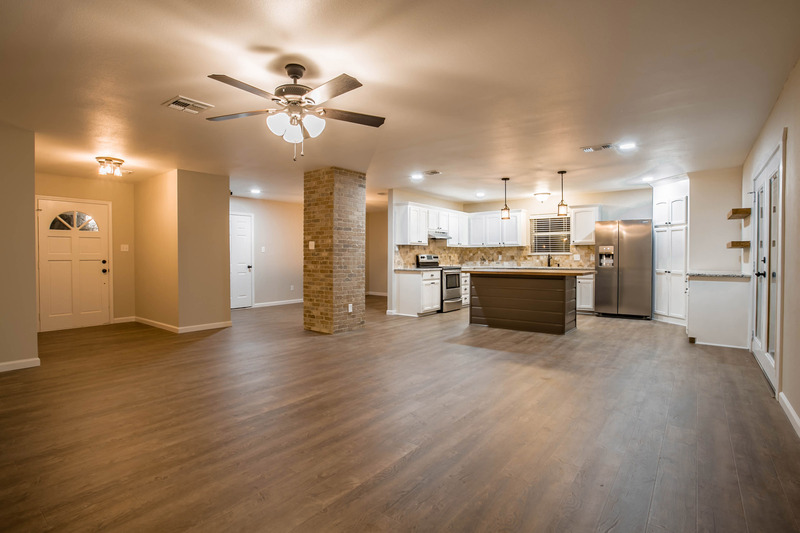 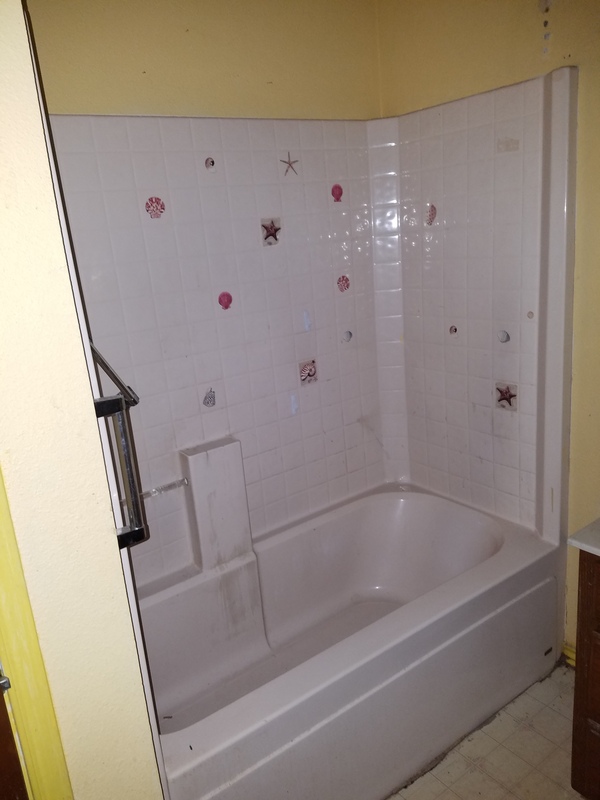 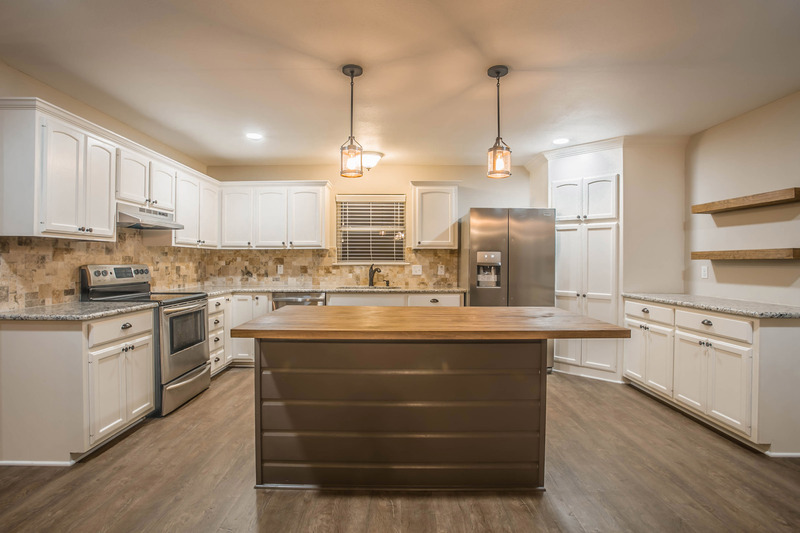 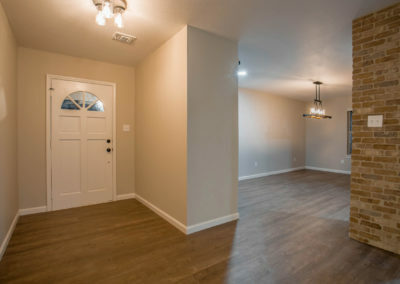 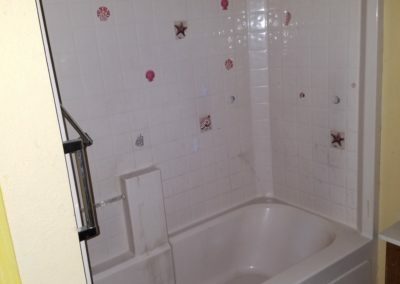 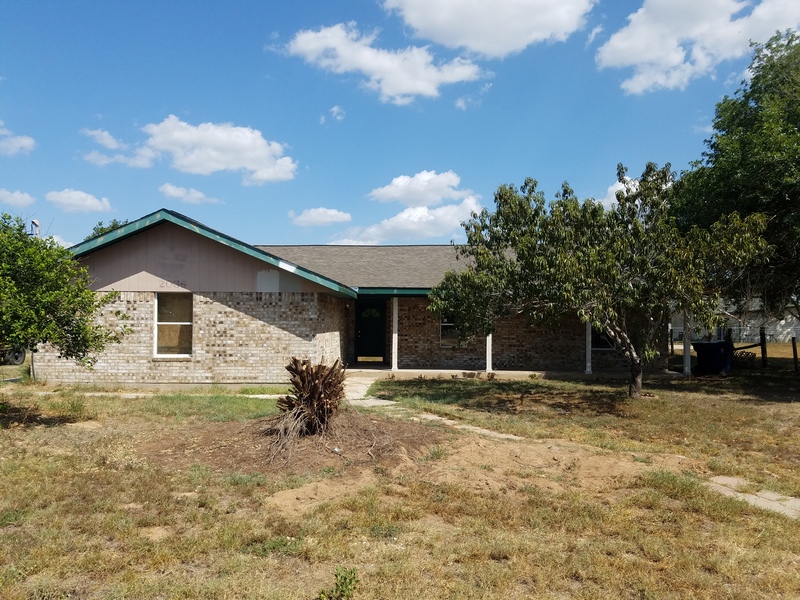 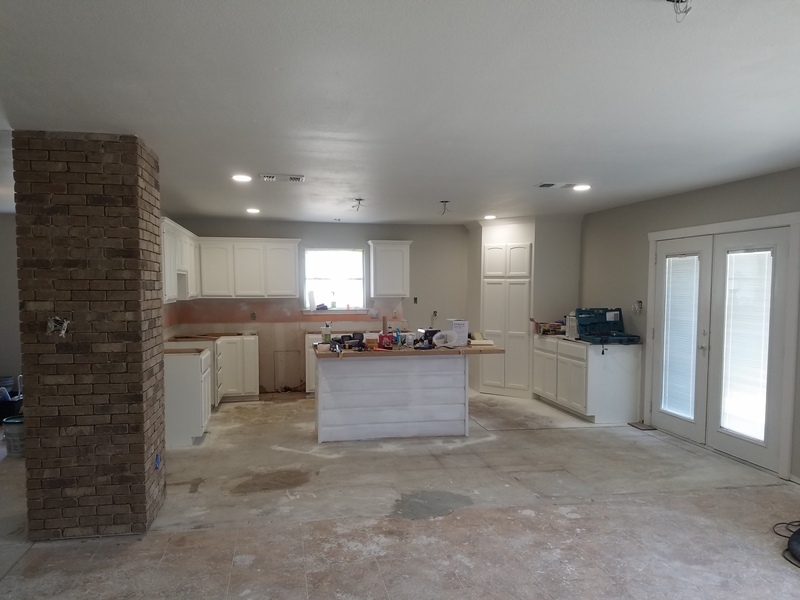 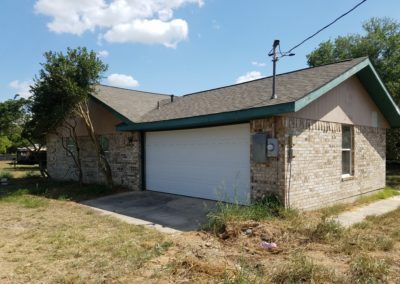 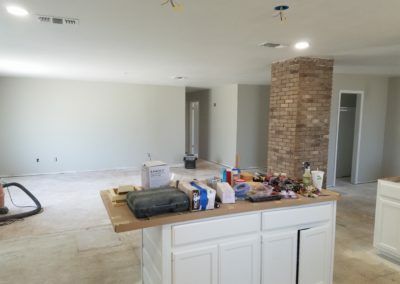 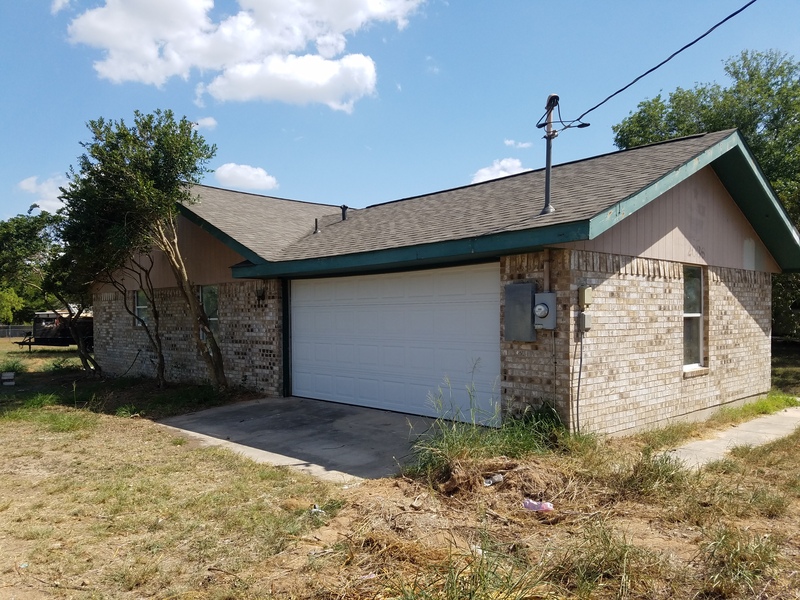 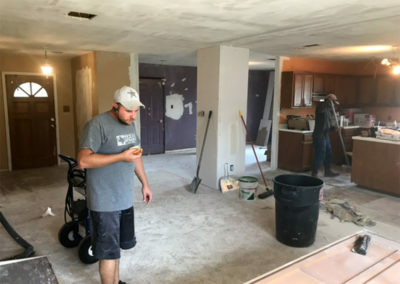 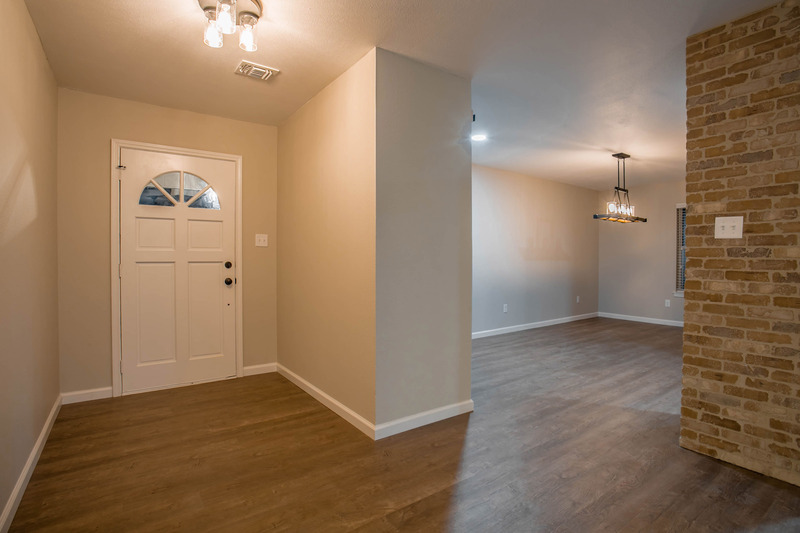 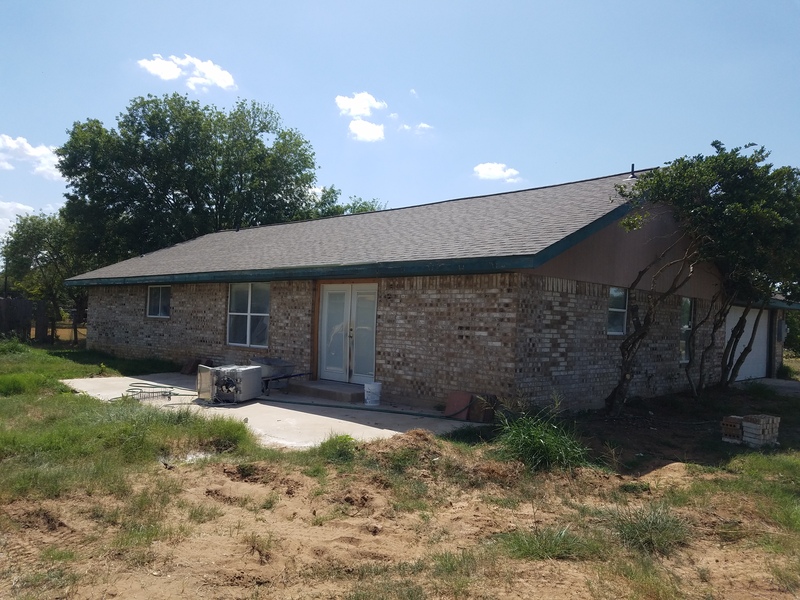 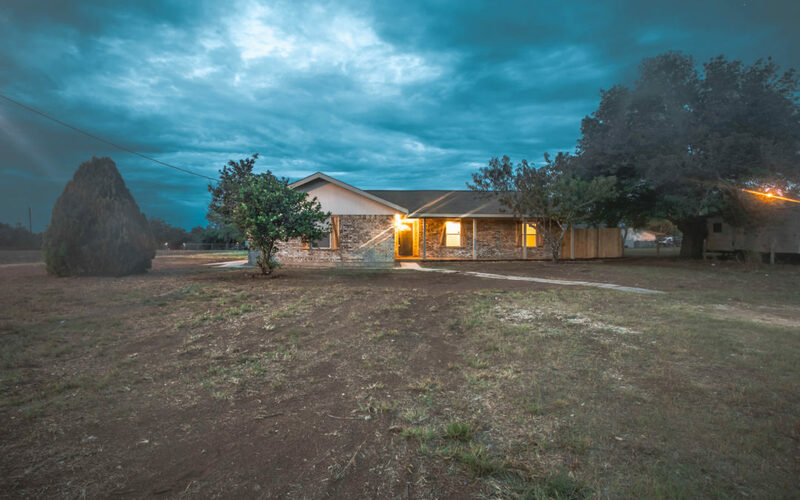 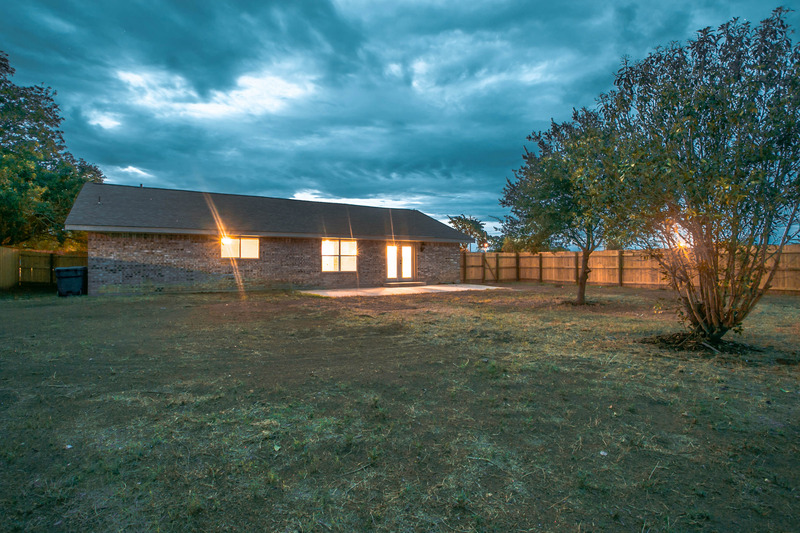 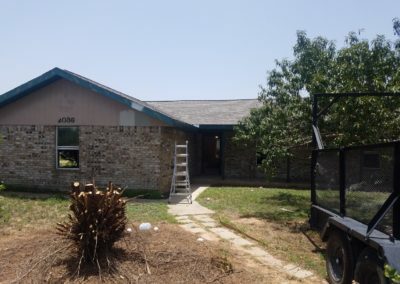 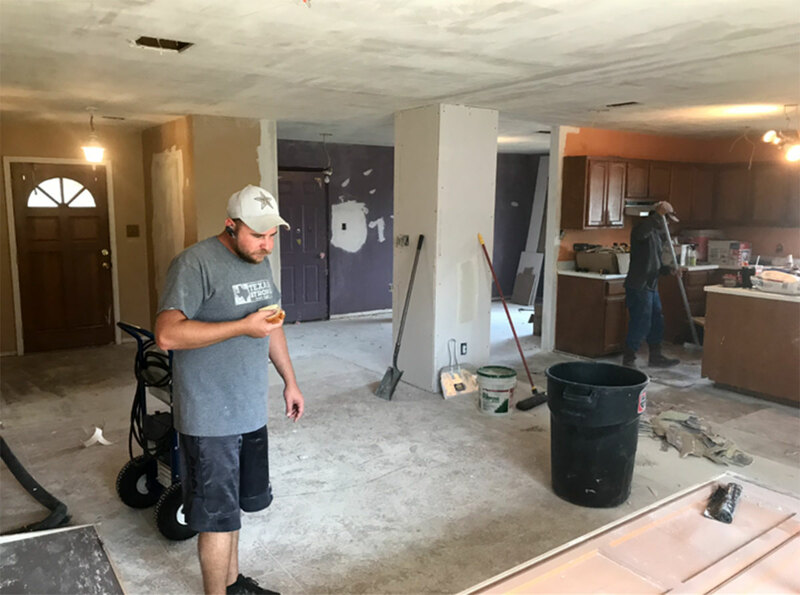 We have documented this complete top to bottom home renovation to allow you to see and read about the step-by-step process that will transform this home from a near-condemned condition to a beautiful open floor plan that any family could be proud to live in. 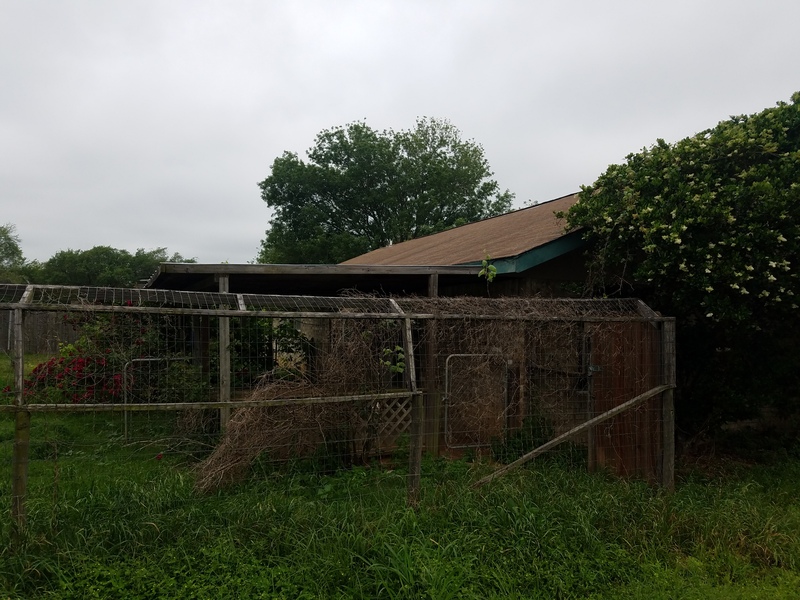 Where others may see a dilapidated structure, we see the potential to transform this into an extraordinary home. 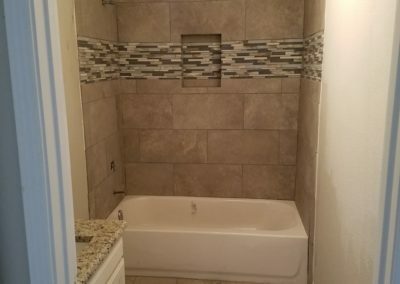 See the complete photo gallery in our project page, click here. This diary blog logged details of each step of the progress. 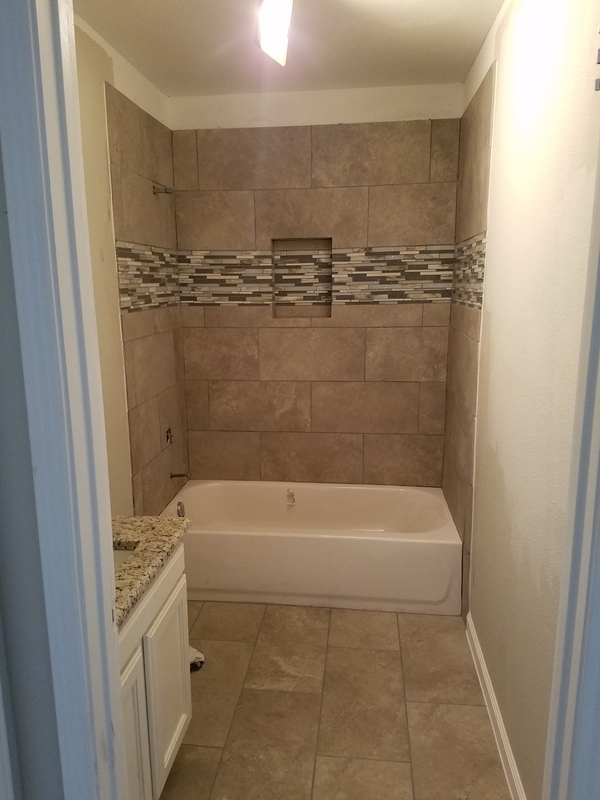 We have completed the renovation and here are some of the finished photos. To view full project gallery, click here. 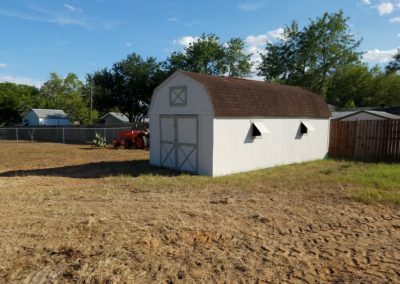 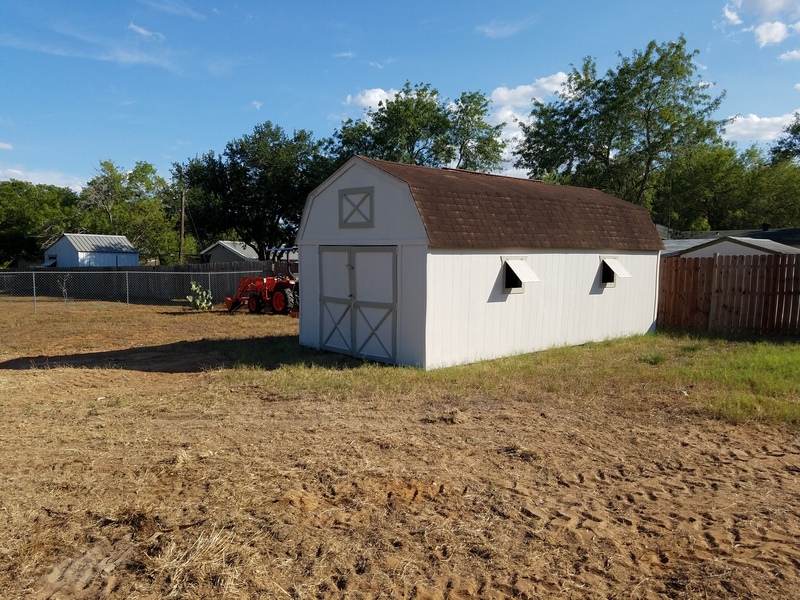 We have completed exterior painting and added a workshop/barn to the back yard. 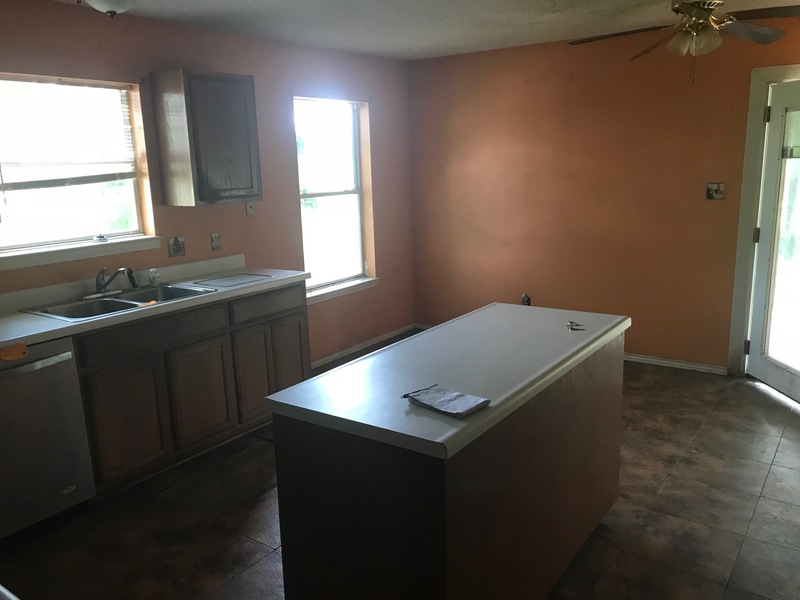 Interior painting is complete. 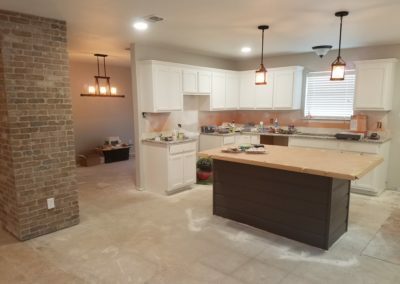 We have installed the granite countertops recessed lighting and can lighting in kitchen and dining area. 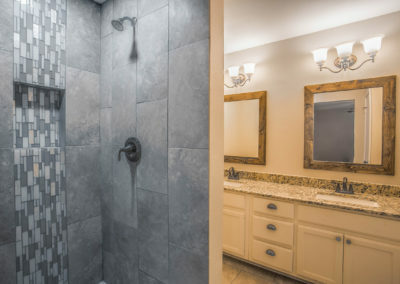 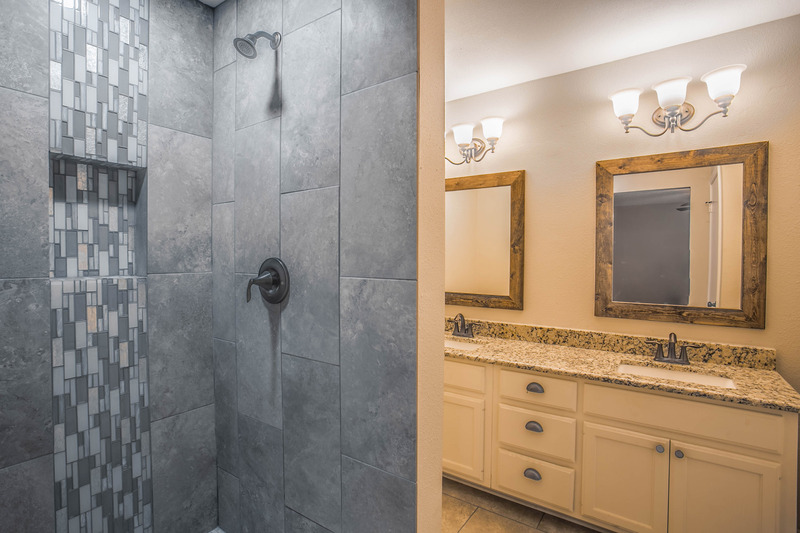 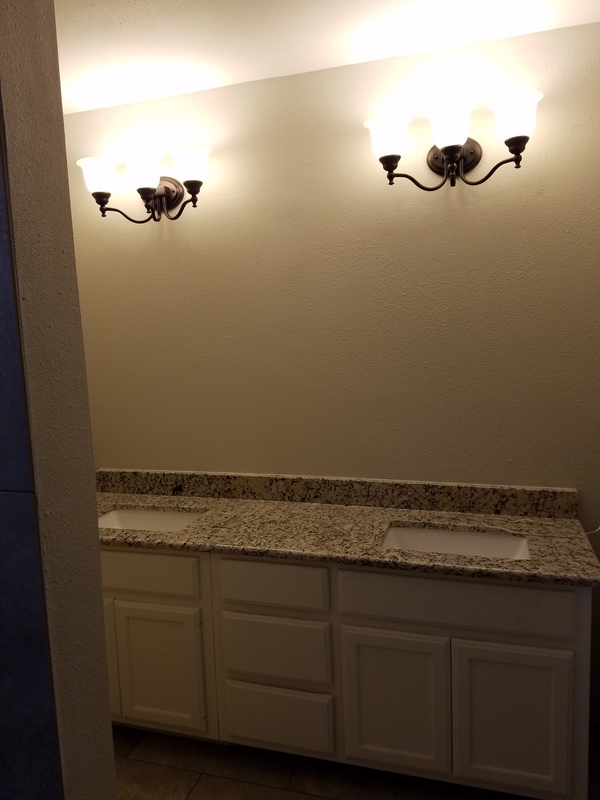 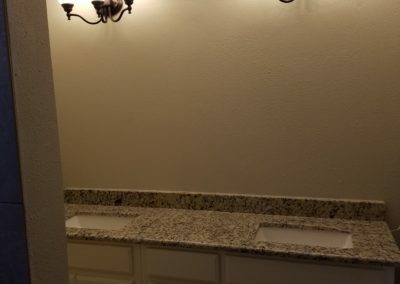 In the bathrooms we have installed granite countertops and new tile along with vanity and overhead lighting fixtures. 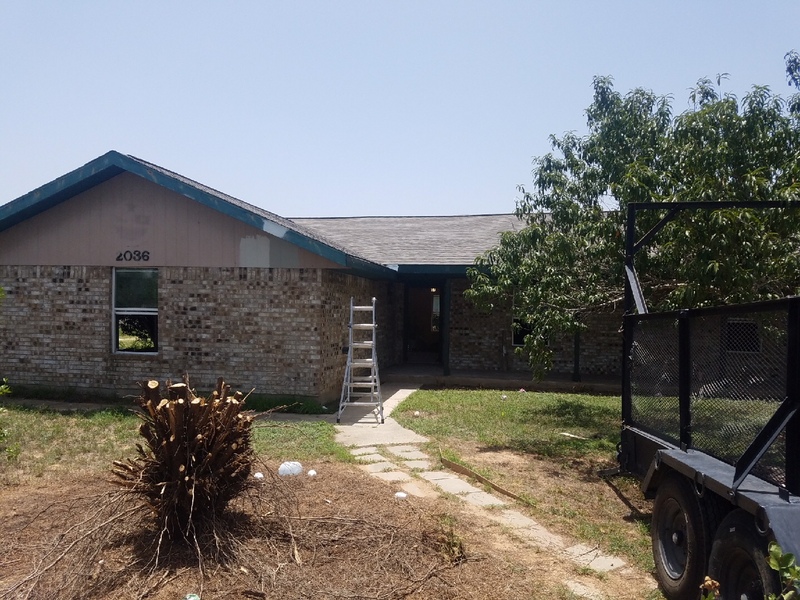 We have made major progress on the exterior, have cleared the overgrowth and dramatically cleaned up the property. 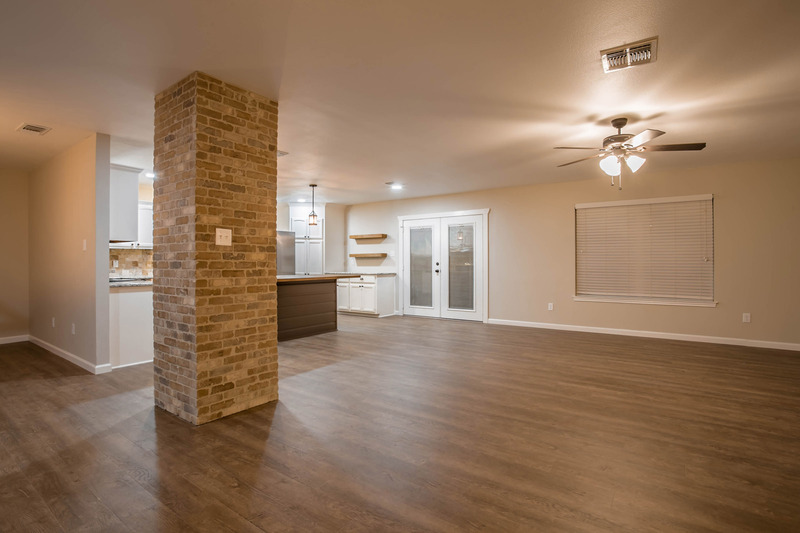 Inside the home, we have completed the reconfiguration of the kitchen/living room space to create an open floor plan. 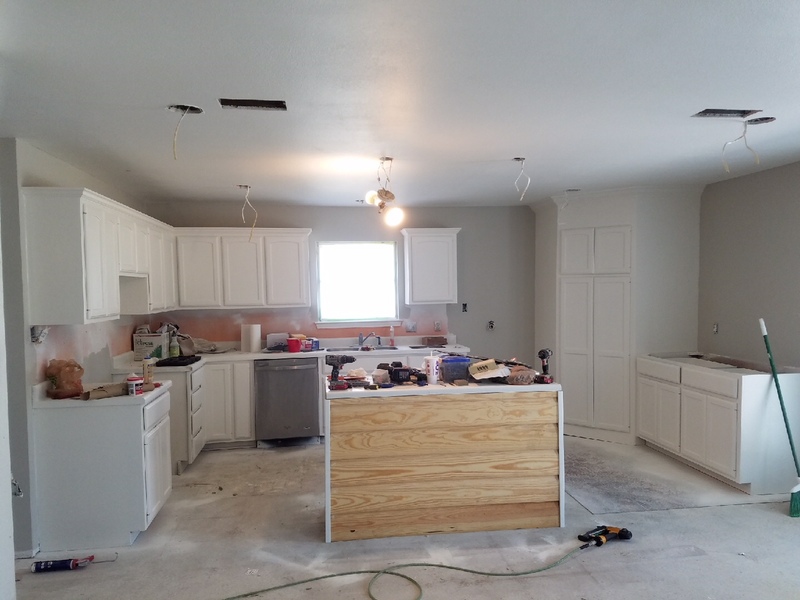 The kitchen cabinetry has been resurfaced and prepared for the new granite counter-tops. 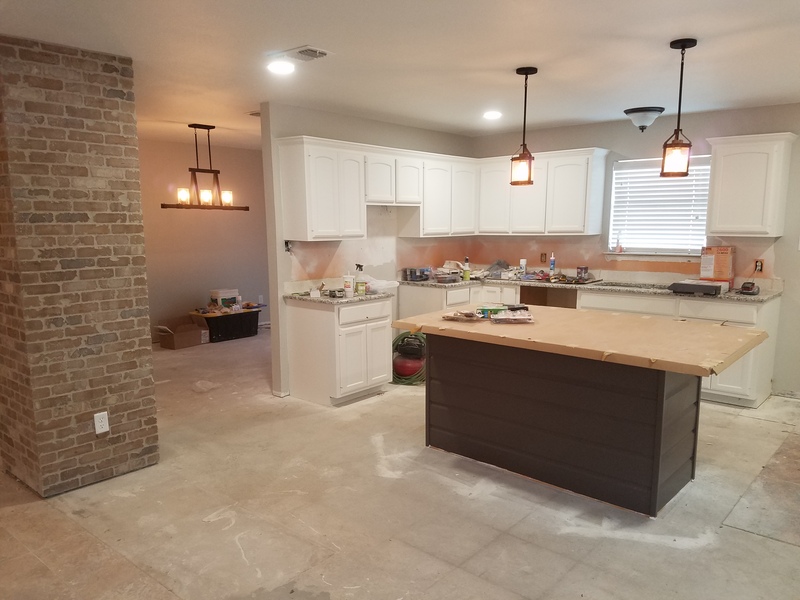 A new butcher block counter top with bar area was added to the new kitchen island and ship lap siding completed. 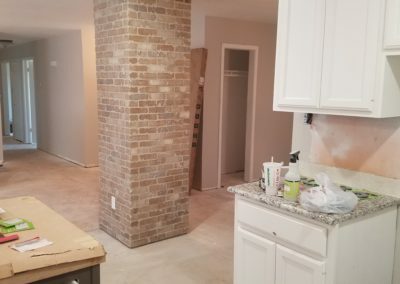 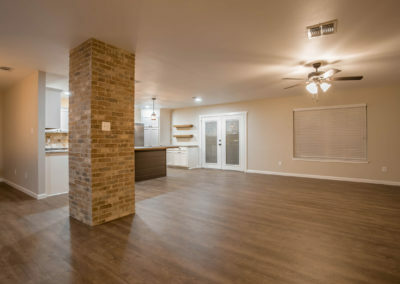 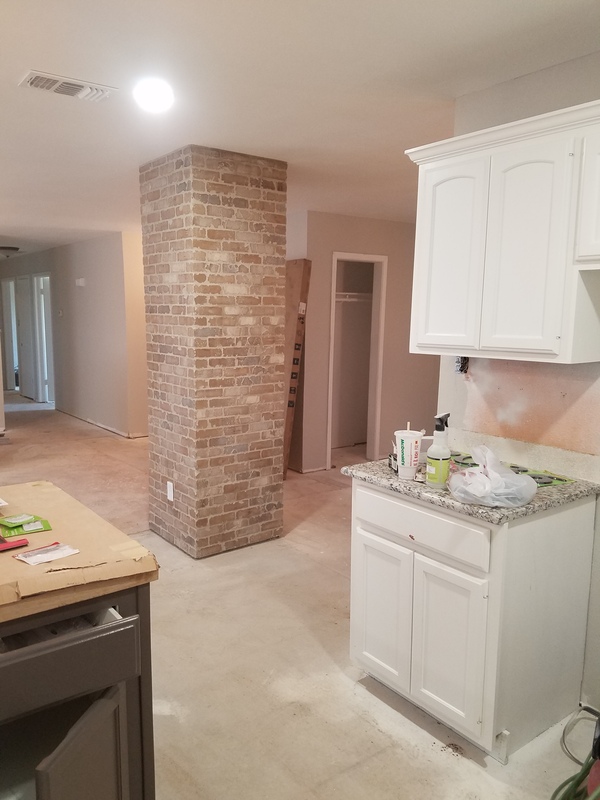 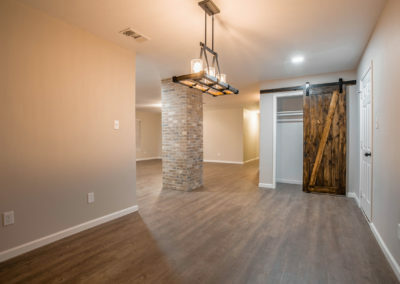 We completed the beautifully designed 2 X 2 brick column that works as an accent piece between the kitchen and living area. 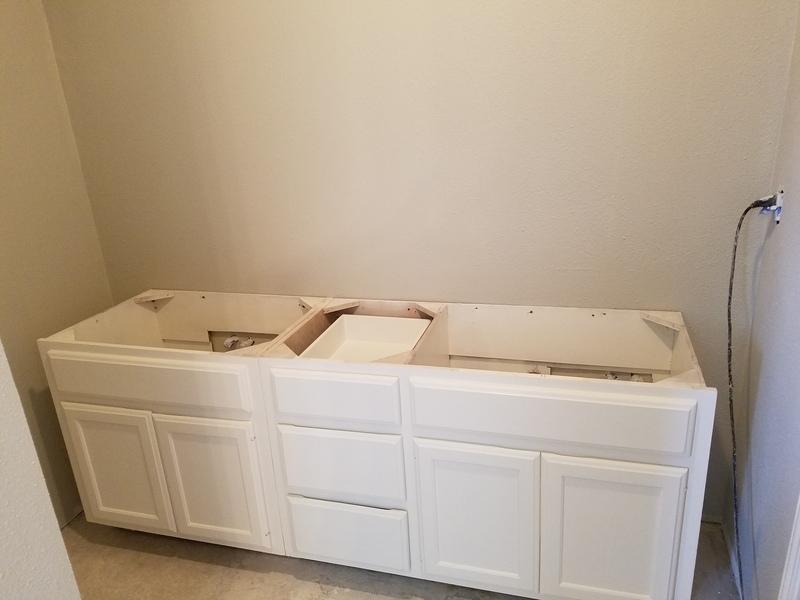 The Master Bathroom has been gutted and plumbing configured for the walk in shower and the double sink vanity has been installed. 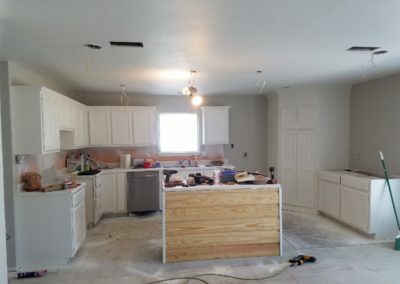 View the complete photo gallery of this transformation process in the project page. 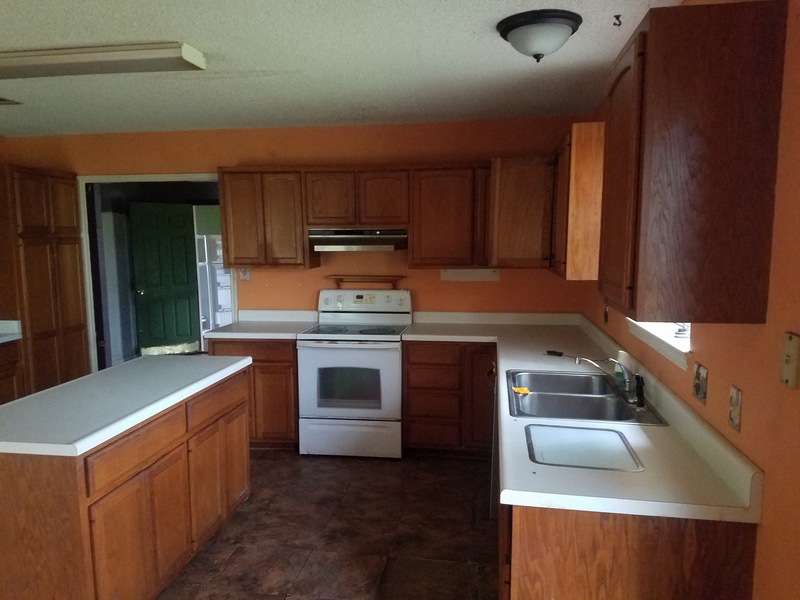 We’ve cleared out the overgrowth, demo, clean up, & kitchen primer. The home is a 1,540 Sq. 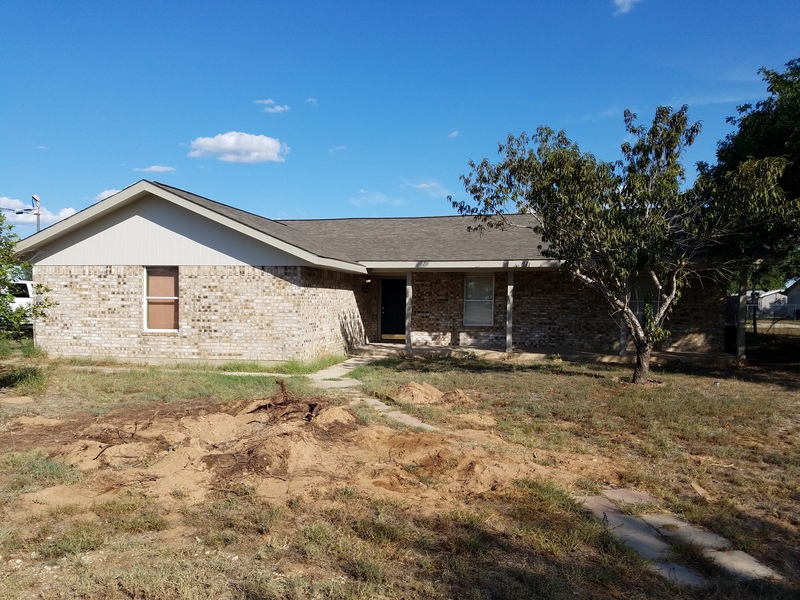 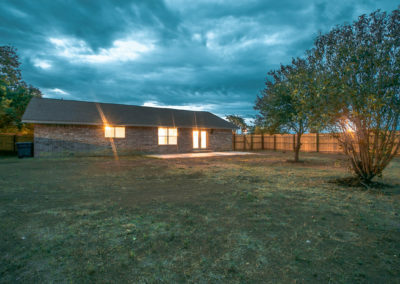 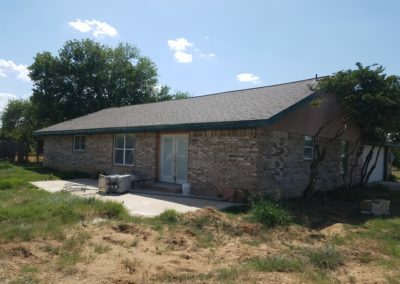 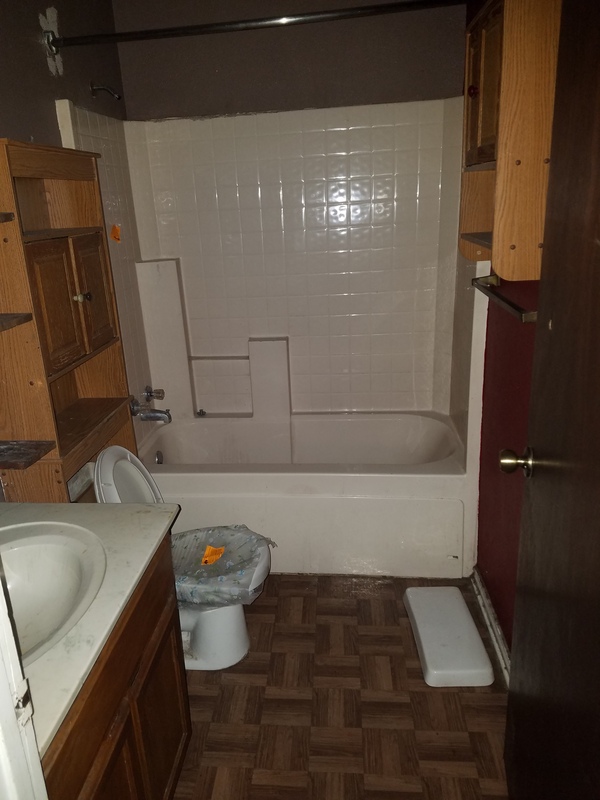 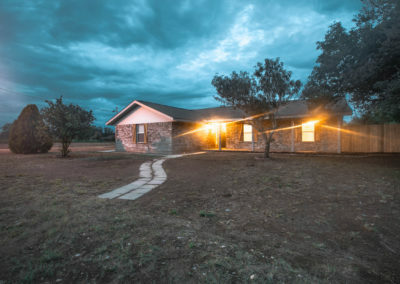 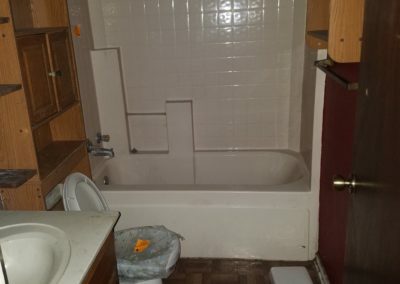 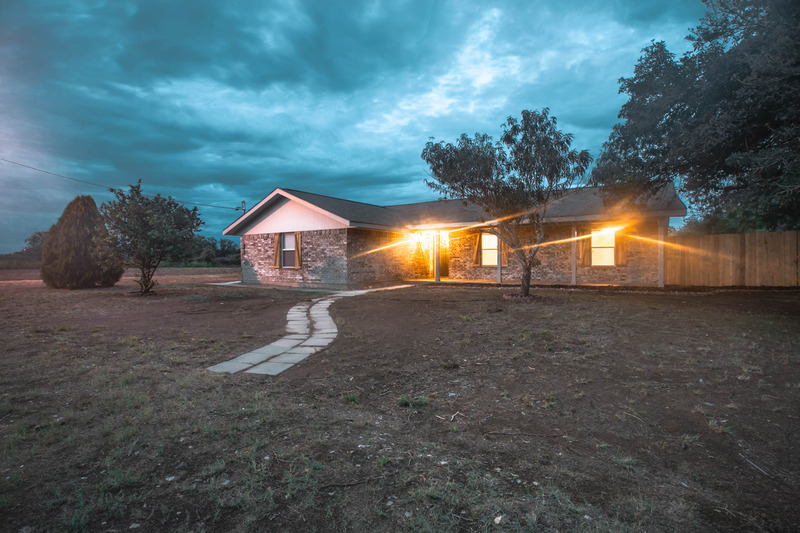 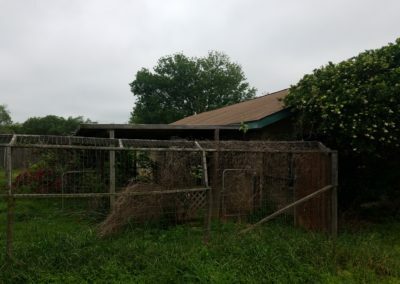 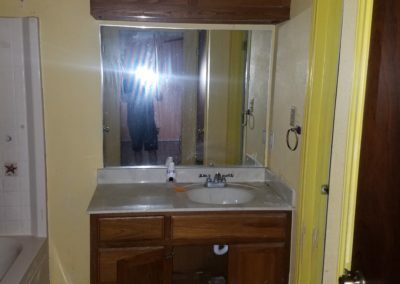 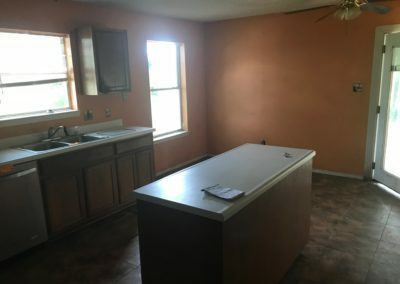 Ft. 3 Bedroom / 2 Bath Country Home. 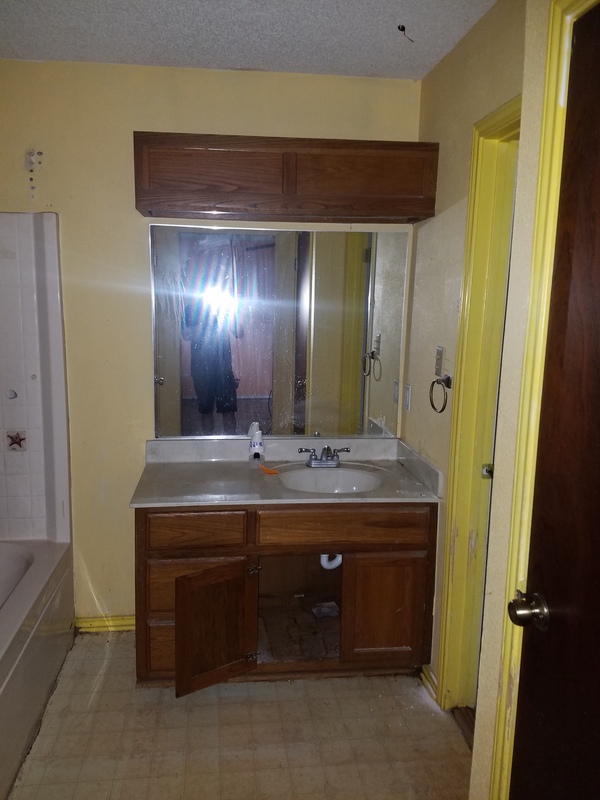 BEFORE photos were taken to begin documentation. 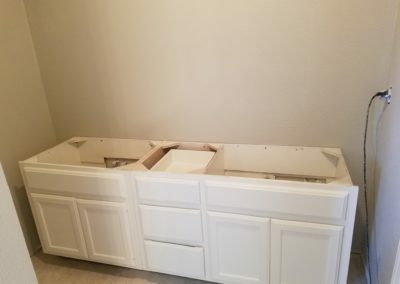 Follow the full photo gallery progress, click here.